While strolling through Laguna last week we stopped in an amazing home goods store. I loved absolutely everything in the place, and wished I had the trunk (oh, and the money) to bring it all home with me. 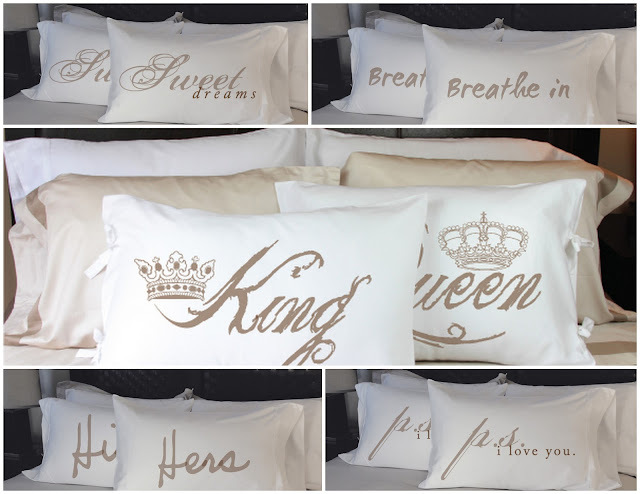 I really liked these accent pillowcases by Faceplant Dreams. They come in pairs with the sweetest messages written on them. It's like falling asleep to something positive, and waking up to something positive. I'm thinking they are a must!